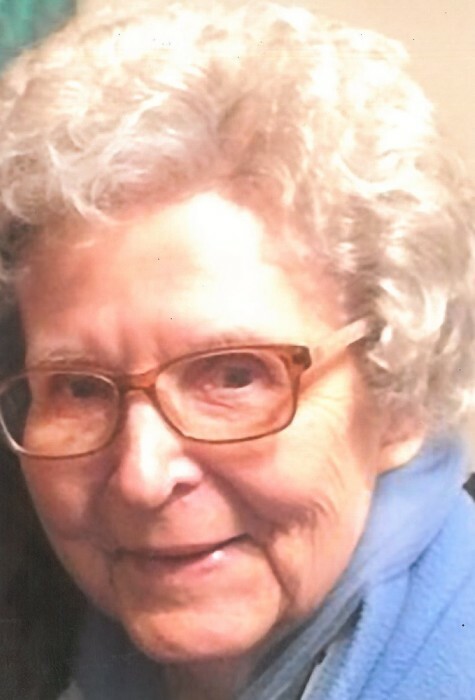 Loving mother, Kay Johnson of Chicago, Illinois passed away on Thursday, January 10th, 2019 at Swedish Covenant Hospital. Kay was born December 29th, 1931 to parents Charles and Anna [Timo] Liubin in Chicago, Illinois. They precede her in death. She is also preceded in death by her brother Charles Liubin, grandson David Fabin, and niece Norma Monroe. She is survived and remembered by her three daughters, Cathy Fabin, Patti Rizzo (Vince), and Arlene Calderone (Philip), five grandchildren; Thomas Fabin, Jeffrey Calderone, Joseph Calderone, Nikki Ortiz, and Vince Rizzo, seven great-grandchildren, one great-great-grandchild, and countless nieces and nephews. A memorial will be held in her honor on Saturday, January 19th at Concordia Lutheran Church, 3855 N. Seeley Ave, Chicago, IL. Visitation will take place from 10 AM to 12 PM. Funeral service will begin at 12 PM. Internment will be held privately for family. In lieu of flowers the family asks that all donations be made to the Leukemia Foundation. You can visit their donation site at https://donate.lls.org/ or call 888-557-7177 for more information.